Angostura is a rum that is produced on the Caribbean island of Trinidad. The distillery is located in the island's capital Port of Spain and produces a massive 20 million litres of rum per year. The distillery is known as the House of Angostura and is currently owned by a company called CL Financial. Angostura rums are well regarded around the world and continue to win many prizes and awards. The House of Angostura is arguably more famous for another product though - Angostura Bitters, the essential ingredient in any cocktail mixologists cabinet. 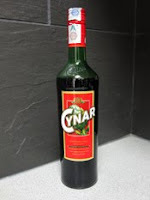 This was invented by the founder of the original Angostura Limited in the 1820s and the story of the company's rum production becomes inter-twined. Angostura Bitters was invented by a German army doctor named Johann Siegert in 1824. He was stationed in Venezuela in the early 1820s and was researching the healing properties of native plants, roots and herbs. As part of his extensive research to find a cure to aid the soldiers' poor digestion, he struck upon his unique blend. Angostura Bitters is still made to this original recipe today with its contents and the proportions of those contents remaining a closely guarded secret. By the 1850s, Dr. Siegert's 'medicine' had spread around the globe with the help of the expansion of the British Empire and he left the army to concentrate on its manufacture. Upon Dr. Siegert's death in 1870, the factory in Venezuela was left to his brother and son. They moved production to their preferred site in Trinidad in 1876 and by the early 20th century they were also bottling rum for local producers, in addition to manufacturing Angostura Bitters. 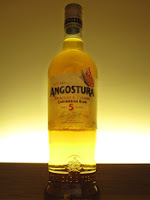 In 1945, Angostura Limited purchased Trinidad Distillers Limited and refurbished their old distillery in Port of Spain. They started producing rum in 1947 and now Angostura rum is exported to 140 countries worldwide. The name of Angostura was taken from the old Spanish word for 'narrow'. This was also the old name of Bolivar City, where Siegert was first posted in Venezuela, which was so called as it sits on a narrow stretch of the Orinoco river. The colour of this Angostura 5 years old is golden yellow and the nose is sumptuous, sweet and vibrant. There are immediate vanilla and caramel notes and these are joined by a lovely combination of other aromas - dried fruits (think of raisins and sultanas), toasted almonds, slightly burnt sugar (reminiscent of maple syrup), hints of wood spice (imagine nutmeg) and orange. On the palate, this feels smooth, rich and creamy. There are again plenty of elements present and the combination is very well balanced. Sweeter notes such as vanilla, butterscotch, soft brown sugar and dried fruits (those raisins and sultanas again but with the addition of apple) are stopped from being overpowering and too sweet by some other savoury elements. These include spices (think of ginger and nutmeg), toasted almonds and some oakiness, which adds a hint of dryness. The finish is short, sweet and tangy with an almost citrus-like quality (imagine that orange again). This rum is bottled at 40% ABV (alcohol by volume - the measurement for alcoholic strength) and has been matured in ex-bourbon casks for a minimum of five years. A bottle should cost £20-25 and be available from specialist alcohol retailers and larger supermarkets. This is a delicious rum that is very well balanced and full of interesting characteristics. Its vibrancy and complexity would make it a very good sipping rum but it would be equally good over ice or mixed in a long drink or cocktail.